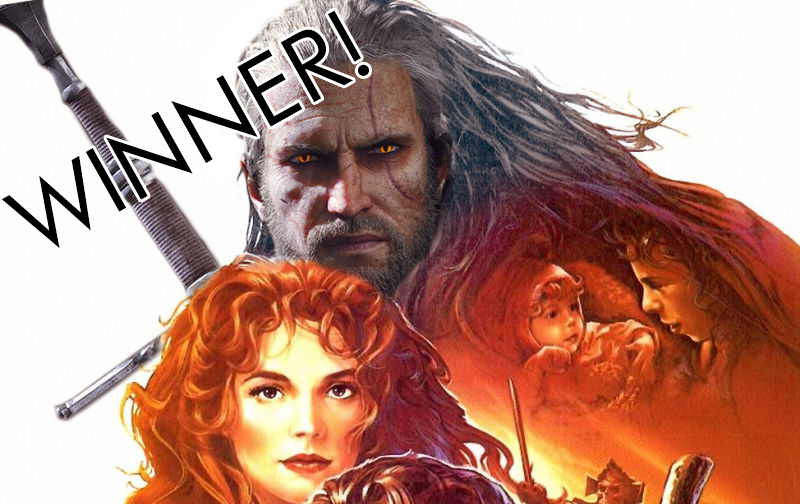 'Shop Contest: Celebrating Our Favorite Witcher, Winners! Geralt of Rivia deserves to do whatever he wants, so I asked you to help me achieve his dreams. I asked that Geralt be put into lots of games, and you delivered things beyond my wildest imagination. I requested Geralts, and you gave me Geralts. Most of you stuck with his skills as a hunter and tracker, and that makes a lot of sense, but what I like about this week’s winning image is that it doubles down on Geralt as a fantasy hero. I’m a huge, unbelievable sucker for Willow, and while replacing Val Kilmer truly hurts my heart, the final product that Done With Kinja has produced is a masterpiece of nostalgia and powerful father figures. You could print that thing and display it proudly among your Transformers memorabilia. It’s that good. Of course, there are lots of honorable mentions because all of you are very clever and good at manipulating images. Go check out all the entries, though, because there were too many to even include here! The quality bar is very high! Ginger Snap has created an image so excellent, so perfect, that it deserves to be its own game. I know that Gwent is a game, but I mean whatever this is. Kathryn collapsed some Video Game Dads and Daughters into a ur-image of power and violence. And magic! Mortal Dictata finds a, uh, theme in the depictions of fathers and daughters in video games. Mrichston demands that we think the unthinkable. Would Geralt yield? Would he have the patience for even one of those puzzle dungeons? Sciteach makes us think about what kind of spider would have to bite Geralt in order for this to happen. A magical one, probably. SolidMGSnake proves that Geralt ain’t afraid of no ghost. Or vampire. Or clocktower. Or the horrible realization that the sins of the past can never truly be forgotten or abandoned. Spartanwarrior’s entry is excellent just because of how smug Geralt is, perfectly mimicking that devilish dog from the duck hunting game. ZMAN2018 gave us this. Peering into the older man’s eyes, he saw himself in the same way that he saw his own reflection in the eyes of a beast many years earlier. Geralt did not blink, because to blink is to die. And the two stood that way for many moments.